PE.G.A.S.O. 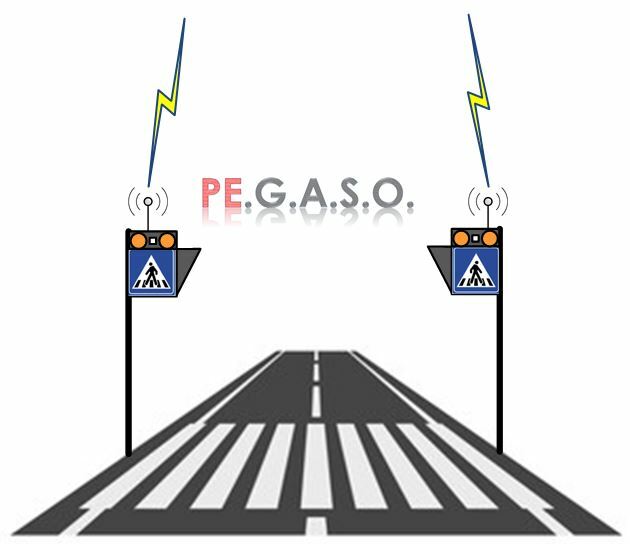 is a system made up of a central system and of devices distributed in the area near the pedestrian crossings to support pedestrians and cyclists during the road crossing. 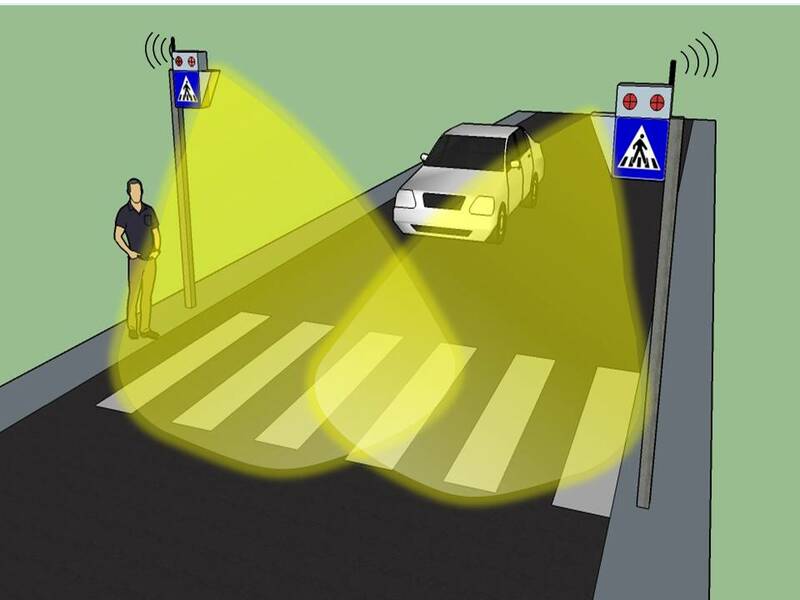 It is based on sensors that cooperate with each other, detecting the presence of a crossing pedestrian, as well as an approaching vehicle, if the vehicle constitutes a danger to the pedestrian. The dynamics on pedestrian crossings in conditions of poor environmental visibility, in particular conditions of background brightness, in the presence of electric vehicles whose motion is not perceived by pedestrians, in the presence of two-wheeled vehicles transiting the center of the carriageway, increase significantly the investment risk of a pedestrian or cyclist. PE.G.A.S.O. it is an aid to crossing, considerably reducing the risk of investments.